​The first female amputee to climb Mount Everest. She is also the first Indian amputee to climb Mount Everest. 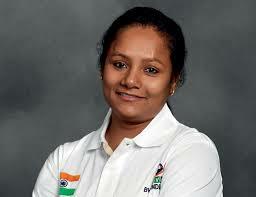 Arunima “Sonu” Sinha (born 1988) is the first female amputee to climb Mount Everest. She is also the first Indian amputee to climb Mount Everest. She was a national level volleyball player who was pushed out of a running train by thieves in 2011 while resisting them. One of her legs had to be amputated below the knee as a result. While still being treated in the All India Institute of Medical Sciences, she resolved to climb Mount Everest, She was inspired by cricketer Yuvraj Singh, who had successfully battled cancer, “to do something” with her life. She excelled in the basic mountaineering course from the Nehru Institute of Mountaineering, Uttarkashi, and was encouraged by her elder brother Omprakash to climb Everest with a prosthetic leg. She contacted Bachendri Pal, the first Indian woman to climb Mount Everest, in 2011 by telephone and signed up for training under her at the Uttarkashi camp of the Tata Steel Adventure Foundation (TSAF) 2012. Sinha climbed Island Peak (6150 metres) in 2012 as preparation for her ascent of Everest. On 1 April 2013, Sinha and Susen Mahto, a TSAF instructor, who had together climbed Mount Chhamser Kangri (6622 metres) in 2012 under the guidance of Bachendri Pal started their ascent of Mount Everest. After a hard toil of 17 hours, Sinha reached the summit of Mount Everest at 10:55 am on 21 May 2013, as part of the Tata Group-sponsored Eco Everest Expedition, becoming the first female amputee to scale Everest. She took 52 days to reach the summit. Arnima Sinha is now dedicated towards social welfare and she wants to open a free sports academy for the poor and differently-abled persons. She is donating all the financial aids she is getting through awards and seminars for the same cause.The academy would be named Pandit Chandra Shekhar Vikalang Khel Academy.